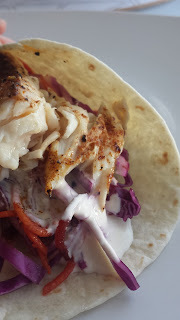 Love soft tacos, love fish soft tacos even more. For the filling you can use whatever you have hiding in the fridge. 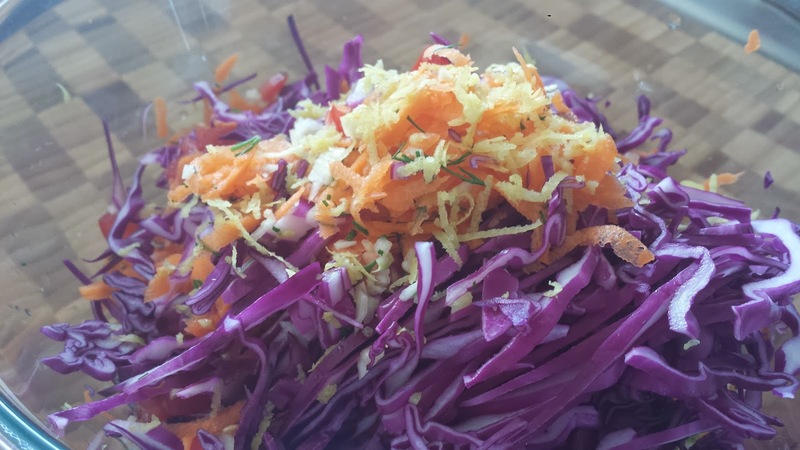 I make a simple coleslaw so I can throw it all into one plate and people can help themselves. I am careful about the type of wrap I use as a lot of them are filled with crap. Mountain bread works well. Place the fish in a shallow oven tray & cover with paprika, salt & pepper and as much chilli oil as you like. Give it a good mix so fish is covered with spice & oil. Leave to marinate while you prepare the coleslaw. Turn oven grill on high. Grab a big platter and throw in the sliced cabbage, grated carrot, tomatoes and zest of the lemon. Dress then place on the table. 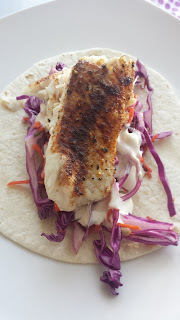 Place fish under the grill for 2-3 minutes depending on thickness. Place onto a serving plate and take to the table. Heat tortillas according to the packet. Serve with Greek yoghurt/mayonnaise mix and enjoy!